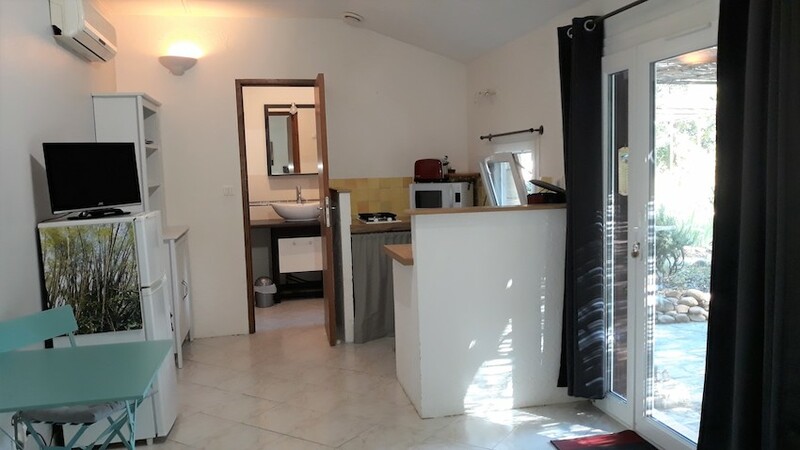 Charming and air-conditioned cottage. 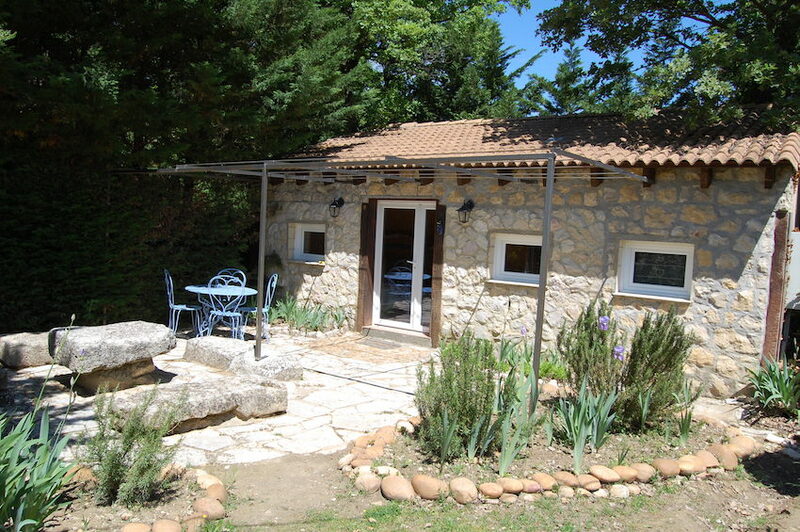 Exterior stone, sheepfold type. 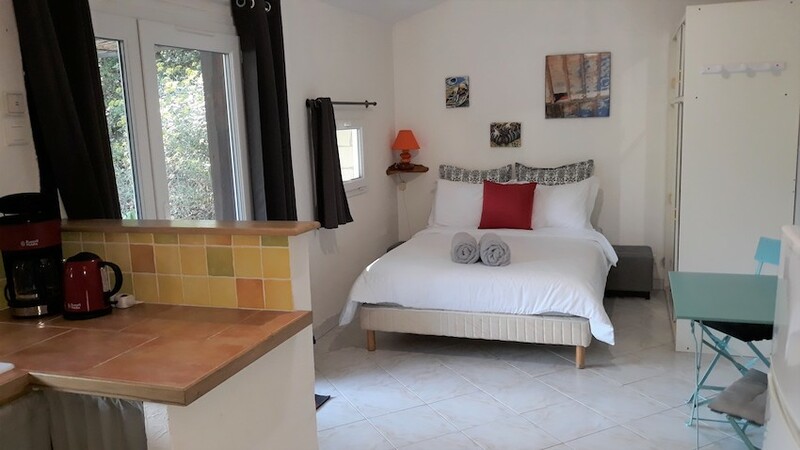 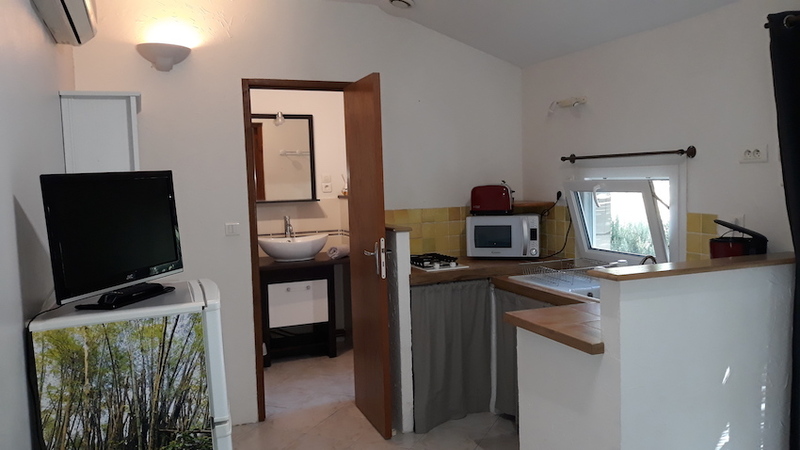 Gite with a kitchen (fridge, hob, microwave, coffee maker …), a dining area, a sleeping area with a double bed, storage and TV, a bathroom with shower and toilet. 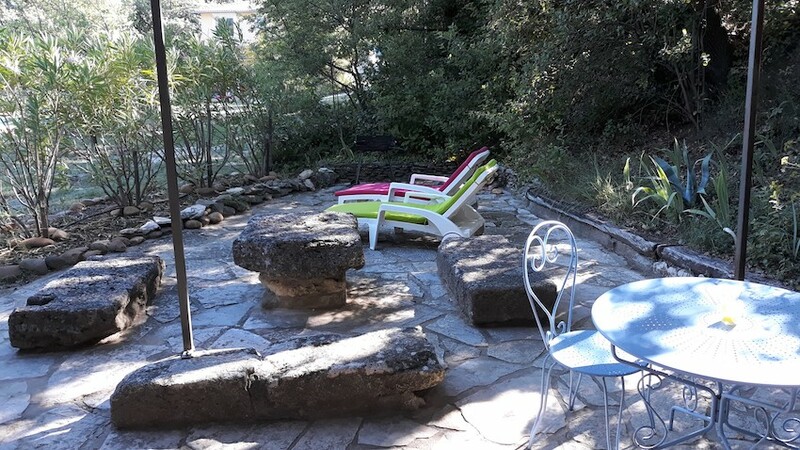 Large private terrace quiet, a few steps from the pool, with garden furniture and deckchairs. 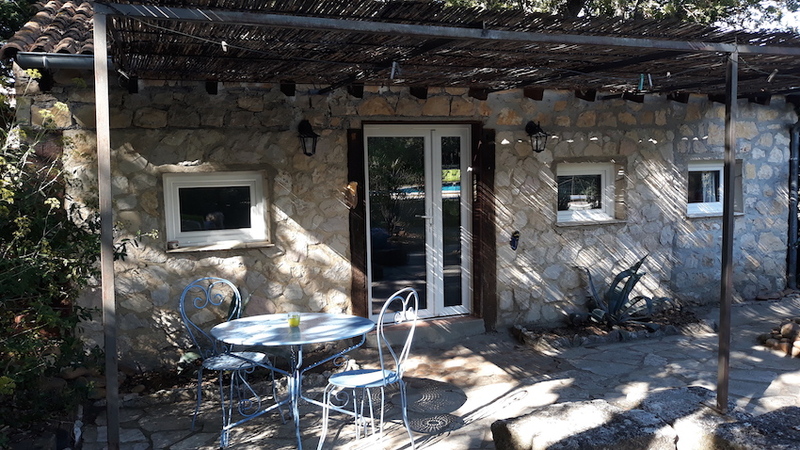 Garden and pool access, BBQ, wifi and parking.